Maryland has a rich fishing and crabbing heritage and offers everything from trophy trout in mountain streams to highly migratory gamefish cutting through the Gulf Stream. Freshwater and saltwater opportunities abound for everyone from families and their children's first catch to the expert looking to hook up with a fish-of-a-lifetime or that fish species which has alluded them for years. If you are new to Maryland or even an experienced angler, click on some of the links provided on this page to learn all about the different fishing experiences available throughout the State. FishM​aryland​ is a free, year-round tournament sponsored by the Maryland Department of Natural Resources Fishing and Boating Services, recreational fishing organizations, and generous donors across the state. It's purpose is to showcase Maryland as a great destination for sport fishing, with many fishing opportunities for Maryland's residents and visitors alike, and to help increase the number of youth and families participating in the sport of fishing. 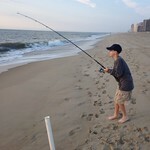 FishMaryland includes three main components: Angler Awards, Invasive Species Awards, and Youth Fishing Club. There is also a Governor's Striped Bass Conservation Award. Visit FishMaryland for eligible species, official award centers and other information. 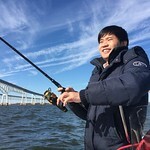 Anglers of all ages are encouraged to submit their stories and pictures about their experiences fishing in Maryland for inclusion in the department's Angler's Log and Youth Angler's Log. Check out some of the great photos we have received by visiting our Flickr Page. and the boat ramp is now open! Stemmers Run Reservoir in Kent County is currently closed to fishing. The US Army Corps of Engineers has closed their Pearce Creek Property in Cecil County to all recreational activities, this includes closing Stemmers Run Reservoir to fishing. Preparations for upcoming dredging projects are ongoing there and will create safety hazards to the public. Estimated length of closure is 18 months. Triadelphia Reservoir is undergoing an extensive dam renovation project and is closed to fishing and boating activities. The project is estimated to be complete the summer of 2019. 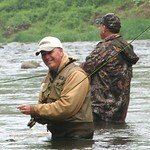 Anglers can keep up-to-date on the closure by checking the WSSC website.